The Walking Dead just wrapped its seventh season (with mixed results), which means you won’t be able to hang out with the Alexandria group again until October. So AMC is preparing to deploy its backup zombie apocalypse show, Fear The Walking Dead. The sort-of-prequel, which ventured from Los Angeles to Mexico in its second season, will return on June 4. That comes from Chris Hardwick, America’s direct line to all things zombie- and AMC-related. The Talking Dead host threw that tidbit in during his final Walking Dead postmortem of the season. 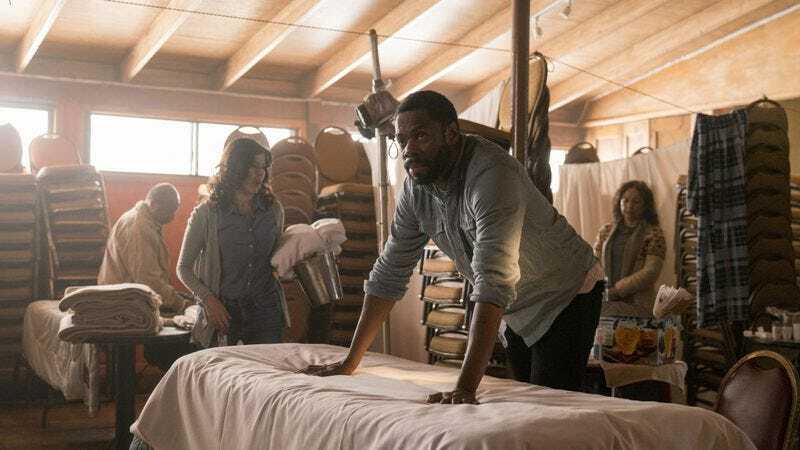 Season three will see Madison, Alicia, Travis, Ofelia, and Strand lingering around the U.S.-Mexico border. Nick has, as usual, wandered away from the group, which led to his encounter with some militia members in the season two finale. If you’re so inclined, you can catch up on Fear The Walking Dead on Hulu.